Going to court to obtain judgment on a debt is one thing, but enforcing the judgment for recovery of that debt is a whole different ballgame. What are your options to recover a judgment for bad debt? It first starts with having hired a debt collection agency to collect before filing for court. Debt collection agencies utilize skip-tracing software that will help to validate a good home address and in some cases an employer if not already provided by you. 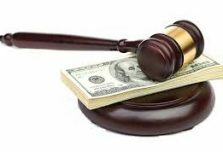 Should the debt collection agency have to file legal action, the first step is for their legal department to obtain the judgment in court. Once judgment has been obtained, it then comes down to the options needed to secure recovery. The best avenue from there is to collect against the debtor’s assets. On the other hand, trying to force a sale of the debtor’s vehicle, house, or personal property can be complicated, expensive, and time consuming. So your best bet are the 2 options shown above. Recovering a judgment is a difficult task. However, if you hire a debt collection agency from the get go, your odds to recover are much better. If legal action does become necessary, they have the resources available to help locate assets needed to secure recovery of that judgment in the short or long term.